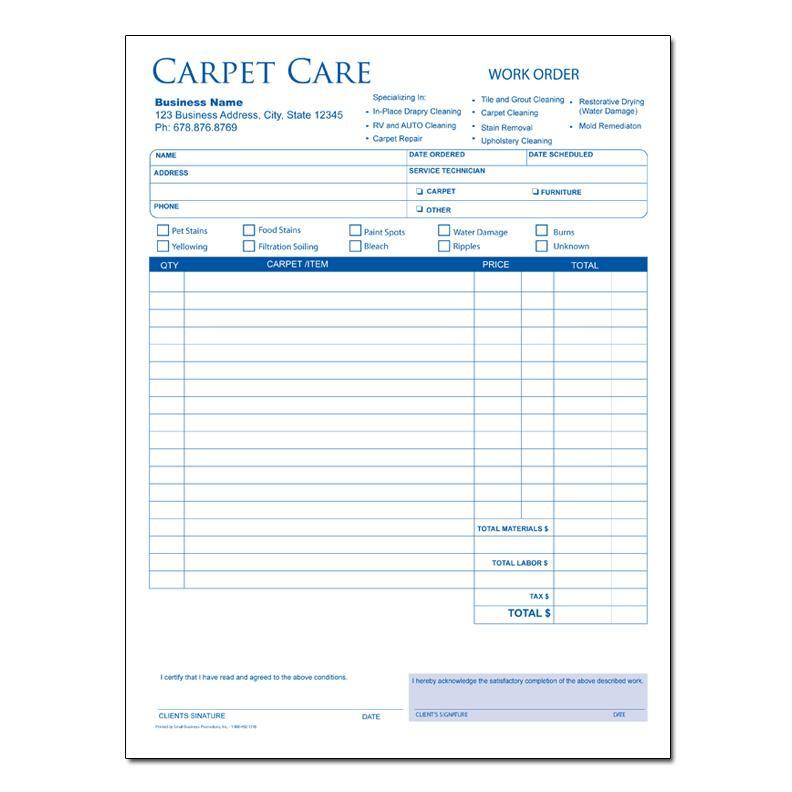 The carpet cleaning invoice is the paperwork used by a carpet cleaning company or professional to show all the details of the job being performed. This is necessary to communicate a common understanding between the client and the contractor hired to do the work. All the costs are included, fixed or hourly, for residential and commercial jobs alike. Note that a work order can also be used. When the job is completed, the invoice is presented to collect payment immediately or at a future date like within 30 days. 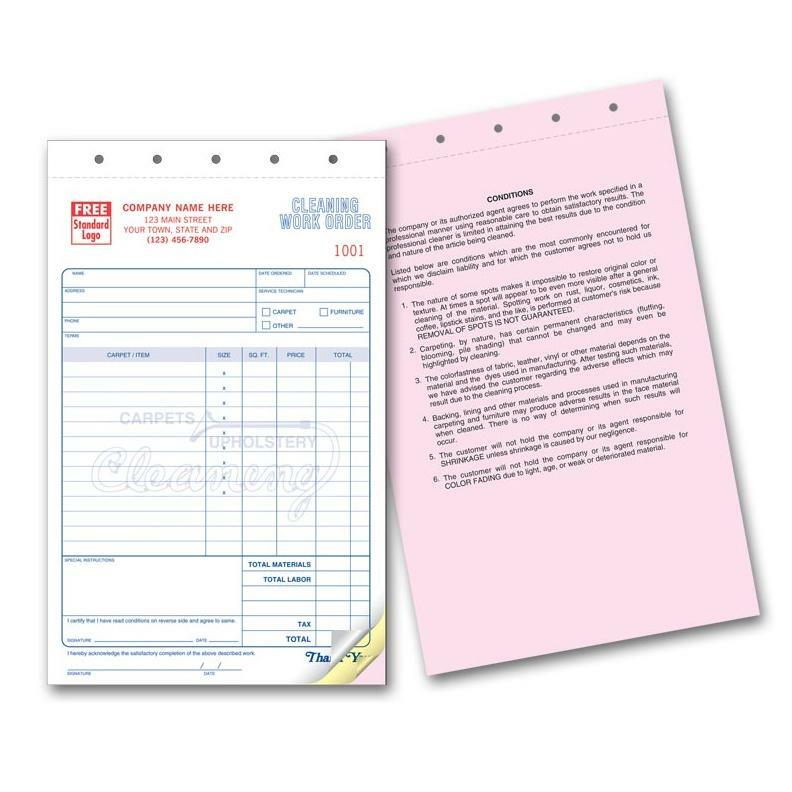 When the payment is collected a copy is given to the client as a receipt after it is signed and indicated as being paid. Details of the jo including the type of cleaning, the number of rooms, sizes, and prices per square feet. Any additional work like cleaning furniture, drapes etc. All the rates, the subtotal for all tasks, taxes, and final total billed. 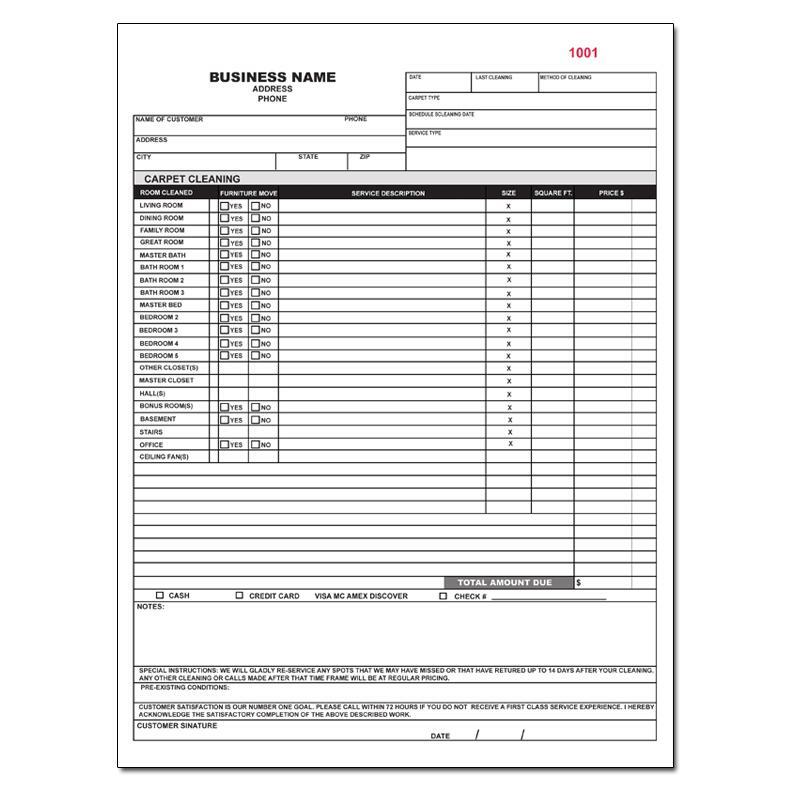 On the back is printed the conditions which state authorizations, agreements, guarantees etc. 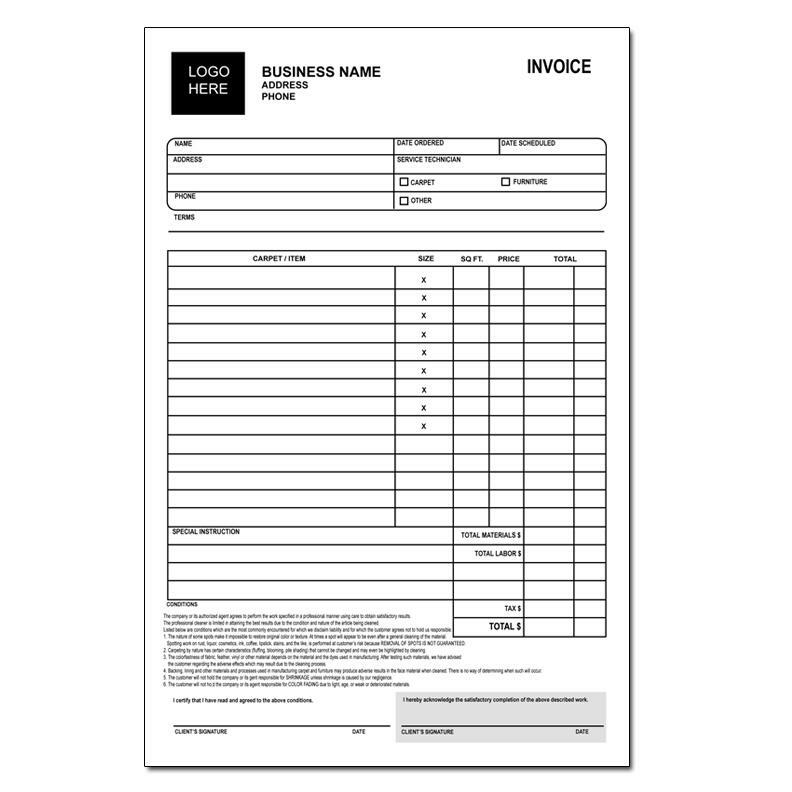 Before you even start to use the invoice, make sure it is custom printed with your logo and business information. This branding will help to portray your professionalism and promote your business when every client is billed. You should visit the home or office site to make an observation of the work needed. This way you can be very specific on what needs to be done and the rates or costs of each task. Before you start doing the work, give the client a quote or an estimate of what the job will cost. Once there is an agreement, you can set a date to start the job. Follow the details of the estimate and complete the job in a timely manner. Do each task as agreed upon by you and the customer. Do you best work using professionalism, technical knowledge, and impress to leave a lasting impression. 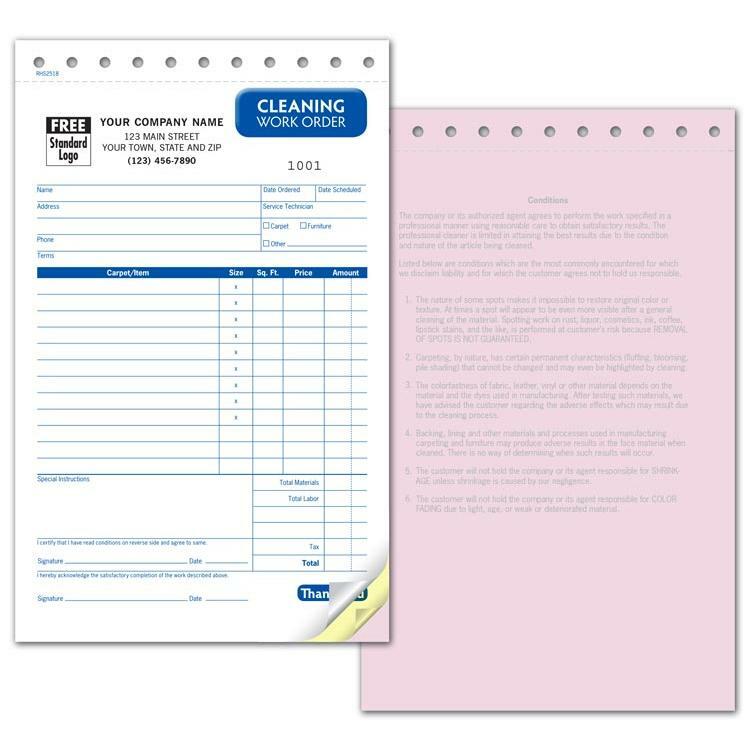 It is now time to issue the invoice on completing of the job. Have the client sign it to show that they are satisfied and accept the work. You can keep a copy for your own records and give one to the customer. 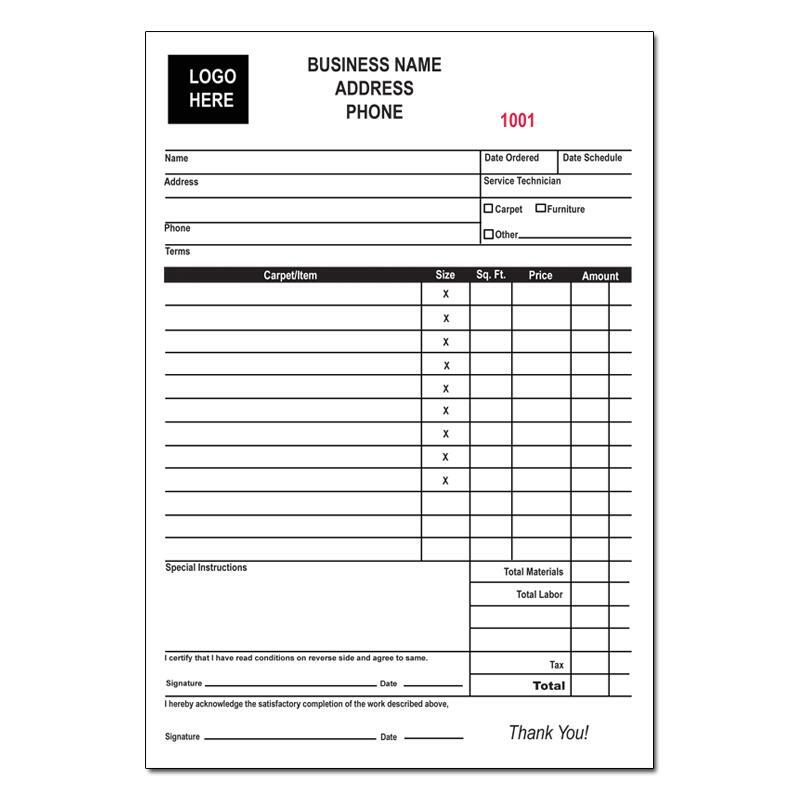 They are made of carbonless duplicate forms to make this process easy.